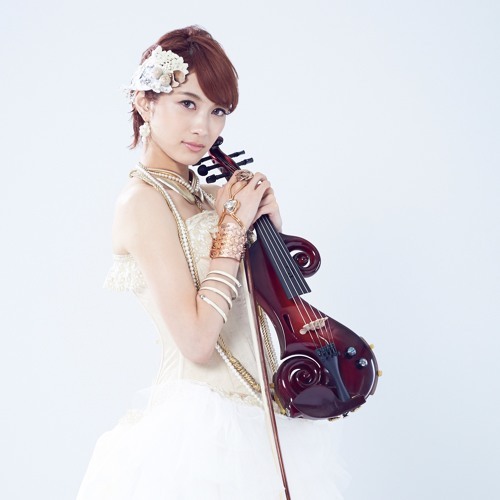 Born October 19, 1991 in Tokyo She began the violin than 3 years old,enrolled in the Toho Girls High School music department. She participated in Andrey Anikhanov conductor St. Petersburg Festival Symphony Orchestra concert tour as a soloist, served as national 13 performances, including the Tokyo Opera City. She attended a summer course of the Accademia Musicale Chigiana of Siena, Italy, and studied under Mr. Salvatore Accardo. When she attended the Vienna State University of Tokushima Bunri joint international summer workshops were studied under Mr. Edvard Tseng Kopf skiing. In addition, she is also playing in the student concert by Professor recommendation. In 2008, it appeared in the CM of Suntory natural water. In 2011 participated in the "Sword of the Far East", it was carried out a lot of Live activities, music production. She graduated from the 2015 "Sword of the Far East". Currently, she has been working as a solo artist.